We are SO very lucky to live by the water where fresh seafood is easy to come by. I could eat shrimp every day. Yes, every single day. My husband is an amazing grill master. Thank goodness, since he is no use in the kitchen. Lol! These shrimp literally take no time to make and taste amazing. We paired them with my husband’s superb filet and a salad….it truly felt like date night! Warm 1tbl EVOO and 1tbl butter over medium heat. Add a pound or more of fresh shrimp and a teaspoon+ of minced garlic. Sauté for about 3-5 minutes until shrimp are pink. -Juice of a lime, 3tbl chopped cilantro, 1tbl soy sauce, and 3tbl honey. 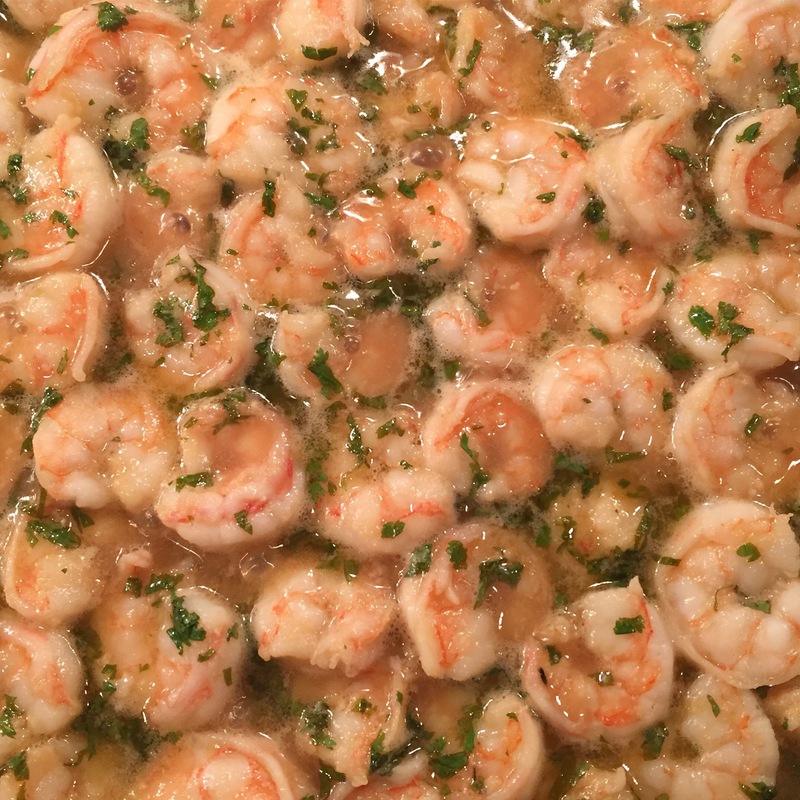 Once shrimp have cooked through, pour mixture into saucepan and simmer for 2-3 minutes. Serve with slotted spoon over salad, pasta, quinoa, anything really. Enjoy! OMG that looks really good! *drool, drool….